Yesterday was the two month mark for when we first met Jon Luke face-to-face. He has accomplished those milestones like other two month old babies. But instead of listing those, I'd rather list those milestones that are new to us as parents. I've mothered six other babies through this stage and yet have learned new things this time around. I would love to share what I've learned this time with you. 1. I have a new set of eyes for the world around me. I can spot those with birth defects a bit more. In addition, I carry with it a new compassion for those having been through similar situations. It's sort of like that in many areas of life. If you've been through cancer, you understand those going through it more. If you've been a military spouse, you understand deployments and running a household on your own more. You can easily connect with those who've faced similar situations and take a walk in their shoes. That is what I see and feel for those mothers who've cared for someone born with a defect or disability. 2. I've learned a whole new meaning on the word patience. Patience is more than just waiting your turn but putting yourself along with your desires aside. You realize a lot of things aren't very important. What is important is the opportunity to help another, carrying with it a new perspective on time. There is more time required for feedings as well as cleaning the necessary supplies for the NAM. I set aside time for many doctors appointments and patience for the wait for Jon Luke to be cared for by them. But I am okay with it and the wait is worth it. 3. I've learned that even though he will have surgeries to repair his lip and palate, God formed him this way. And the way he is now is perfect not only to God but to me too. I love the way he smiles with his cleft smile. Yet, I know I will miss it once it's changed. I love every part of the way God formed our son and I will be sad when they change it, even though it'll be for the best. 4. Often times, we fear the unknown and worry our hearts about it all. The reason we are so anxious about things in general is that we create a fear on what will happen or how things will go. But that doesn't stop us from going through something. It's still going to happen. It's typically out of our control. So that fear we developed over whatever it is that is worrying us is not worth the fret. 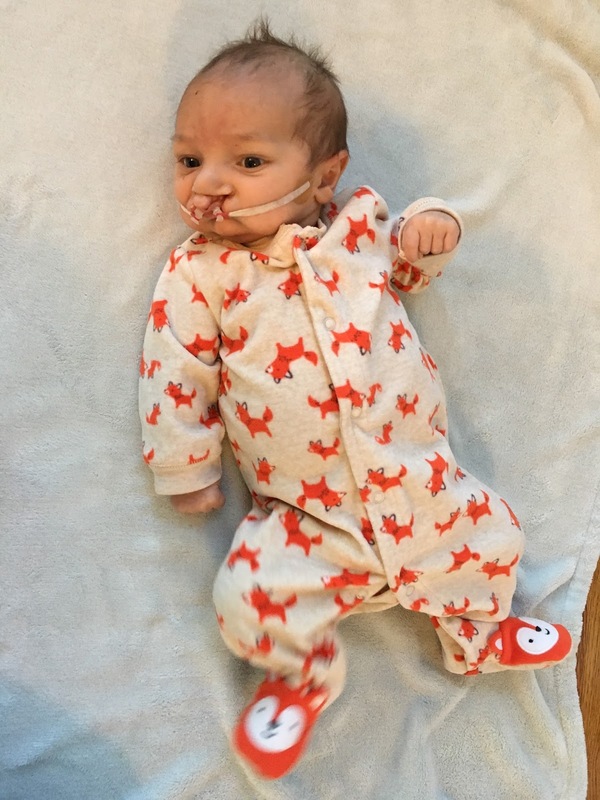 Before Jon Luke was born, I was anxious about how I would be able to help him not knowing exactly how it all would be. Basically, I worried myself over nothing. I was wrong. Everything is just how it is supposed to be. It's all part of God's plan and future for my life. And I wouldn't trade any of it for anything different. I love being a cleftie mom. 5. I have joined cleft forums and I've seen daily many littles having their surgeries and appointments. 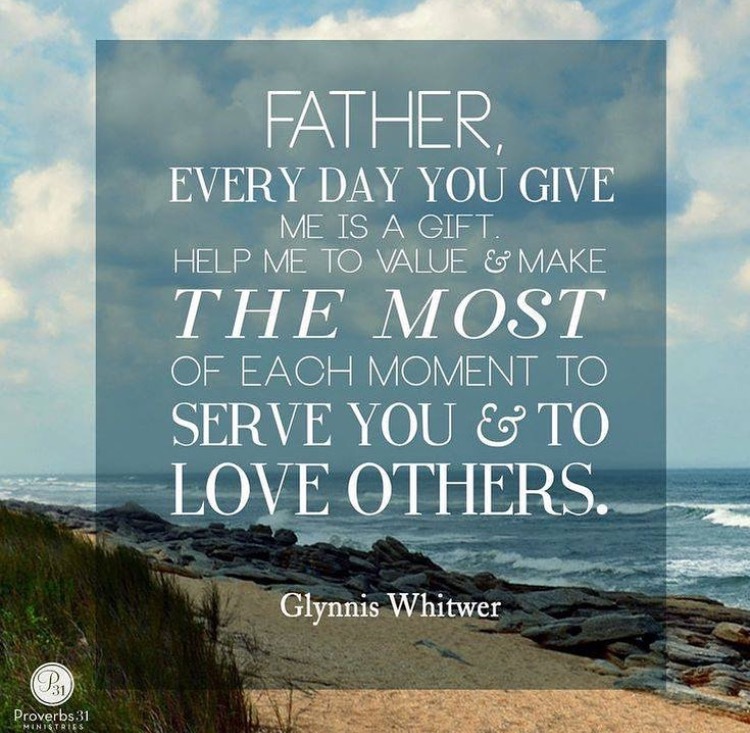 I am able to be more prayerful for others. I see the worry in those mother's hearts when their wee ones are taken back to be sedated. I watch them come through and I've heard those mother's words for prayers when there are close calls during the surgeries. We will be in that place soon. Until then, I watch the encouragement and prayers being lifted for them on a daily basis. The power of prayer is amazing. How neat that so may can come together all over the world to pray for one another. These are people they don't know beyond a picture posted and the mother's words asking for prayers. It's amazing the community that is formed. There will be more new milestones for me along the way. However, this is it for now. As far as updates go, Jon Luke went on to see Dr. Granger last week. He re-adjusted his NAM and sees lots of improvements already. We go in again next Thursday and he will soon be adding nose stints to help shape the nose. Our little guy is doing well with the NAM and is able to eat a bit easier with the more closed-off artificial palate in place. As for the rest of our crew, we are having fun enjoying life. We play with powdered sugar, run around outside as much as possible, play pirates, dance to music, and anything else we can find to have fun. God is good, y'all! I have two favorite sayings that I try to apply to my life on a daily basis. The first one is, "Today is a good day to have a good day." 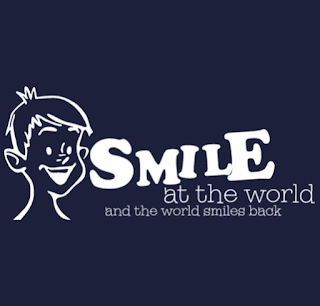 The second one is, "If you smile at the world, the world smiles back." My favorite Bible verse is from 1 Thessalonians 5:16-18 which says, "Be joyful always, pray continuously, and give thanks in all circumstances; for this is God's will for you in Christ Jesus." This is my life verse and the one I strive to do each day. Put these three all together and you've got what I call the "Unspeakable Joy Movement." This is where we take the hard, everyday things thrown our way and push through it with a joy that can only be made possible by knowing Jesus. It's a hope for things to come. 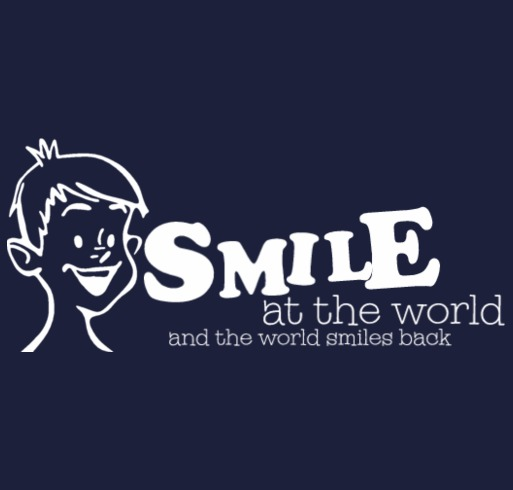 It's a simple smile we give to that stranger we passed by in the store. It's the giggles heard from children over the simplest thing. It's the warm cup of coffee on a rainy day. Joy can be found all around us. It's in the attitude we have despite the hard circumstances we face in life: debt, marriage issues, relationship problems, grief, health problems, etc. If we change our attitude, we can change our point-of-view. God doesn't tell us to be joyful sometimes, but always. Sure, it's not easy to do. There are days I am dead tired and just don't feel like smiling. That is the case for all of us. But I don't want to give the devil that satisfaction of being a grump because of this or that going on. Of course, I will fail along the way. We all do! But my hope is to encourage you today to give it all you've got to live life with unspeakable joy. The more you do it, the better you feel. It's true! Don't believe me? Start out by smiling at the next person that you see. Then do something nice for someone. How did that make you feel? Great, right? So keep on at it and let's do this together. Here's something you can do today. Take a picture of something that brings you unspeakable joy and share it on social media. Use the hashtag #unspeakablejoymovement and let me see those things that make you happy. Here's what brought me unspeakable joy today. It was a handwritten letter in the mail from one of my dearest friends. Anyone who knows me knows I love handwritten letters. Don't forget to share your pictures today or any day of things that bring you Unspeakable Joy! The past few weeks I have been picking my brain as I think of a way I can help others going through this experience of having a child born with a cleft lip and palette. I had heard of the Mia Moo Fund through Mia Robertson on Duck Dynasty. 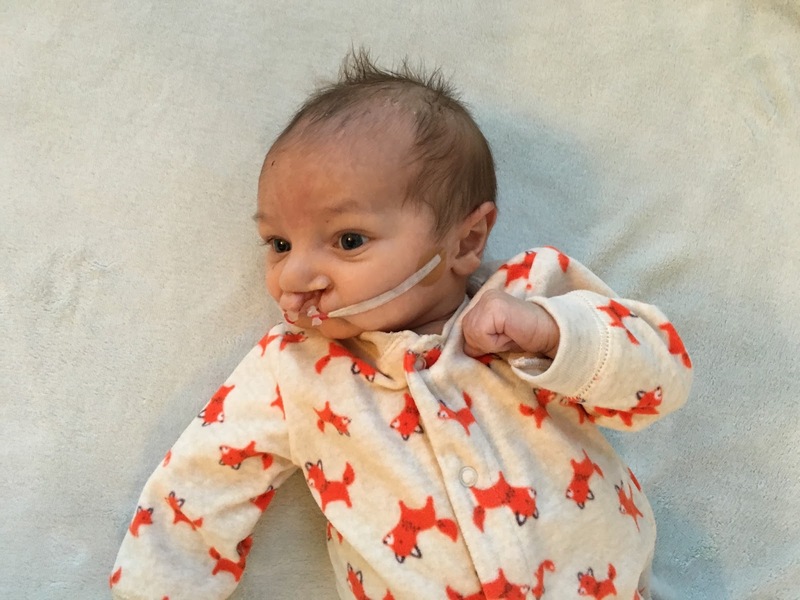 Mia Robertson was born with a bilateral cleft lip and palette just like our little Jonathan. Their stories are very similar, although; Mia's story is farther down the road than our own. Her parents started a charity where people can donate money and the profits go to help those who can't afford the costs of the repairs of cleft lips and palettes. The money also goes to help spread awareness and research as little is known about the cause of it. I decided to start this t-shirt fundraiser for this cause. I've designed two shirts available for youth through adult sizes. Both are for sale through February 8th and you can receive your shirts two weeks after that date around February 25th. The shirts ship directly to you from www.booster.com, which is a fundraising website. 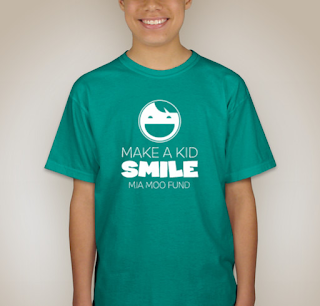 All the proceeds from the shirts will go directly towards the Mia Moo Fund. In addition, if you would like, you can wear your shirts on the days Jonathan has his surgeries to show your support. If you are on Facebook or Instagram, you can use the hashtag #jonlukessmile while posting a picture of you or your family wearing it when Jonathan goes in to have his surgeries. Or you can email/text me a photo and I will be adding your pictures to an album I am making just for him. What love he will feel seeing all of you wearing those shirts in support of him. I will update you on when he has his first lip surgery, which will be around April 2016. The t-shirts are $20 + shipping and are available at these two fundraiser links. Both designs can be purchased in adult and youth sizes. This is a great opportunity to teach your children about cleft lip and palette as well as letting them share about it with others. 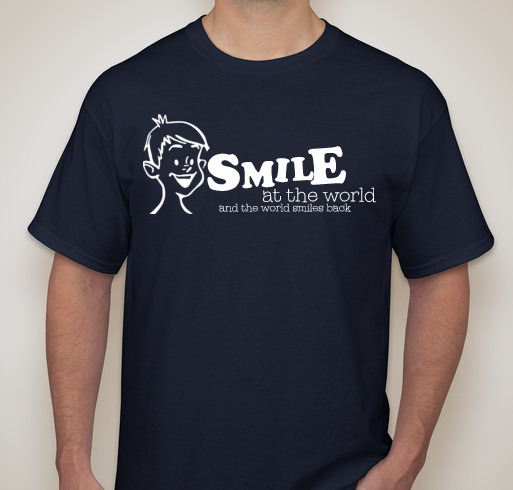 You may also make an extra donation towards this fundraiser when purchasing your shirt. Please share about this fundraiser on your Facebook and social media sites. Invite your friends and family to support this cause. I would love to sell 50 shirts at least of each design so we can bless another family needing help through this fund. You are welcome to email others this blog page as well. Thank you for your support and God bless! 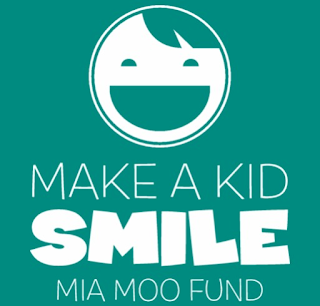 To learn more about the Mia Moo Fund, go to http://www.miamoo.org/. Yesterday I heard a fascinating story on an elevator ride down from a doctor's appointment. A man probably in his late forties was smiling very happily and said, "Coming from the maternity floor, huh?" I only said, "Yes." I was in a hurry to get back to the car as my appointment ended up being way late past the time it was scheduled at the gynecologist’s office. With a newborn being cared for by my mom, I knew I needed to get back with feedings and what-not. Besides, I had a million things to get home and take care of before the end of the day. These are all important excuses for keeping to myself, right? Oh, I remember those days of being on that floor with my wife giving birth and attending appointments. I am past that now. I was given a 3% chance to live until Christmas. I went in 7 weeks ago for a headache and ended up being rushed into emergency surgery on my brain in Atlanta. They found I had cancer all over my entire body. I am not supposed to be alive still. These are my final days and I just wait. At that point, the elevator opened and out he flew quickly with a final goodbye. I was left shocked, speechless, and with lots of reflection on the whole incident as I made my way to the car. The attentive girl in me went back to that situation all afternoon over and over in my head. 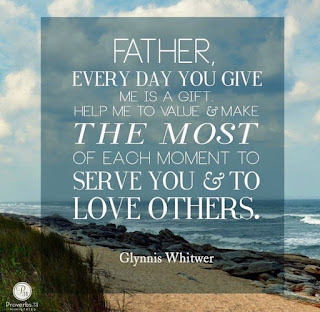 Why didn’t I stop to pray for him? He did have a cross around his neck that I noticed as he left the elevator. But does he know Jesus? Why didn’t I bring it up? Was I so much in a rush, a hurry that I couldn’t even spend more time being a listening ear? Why did the foolish girl in me not think about being more caring as I got on the elevator that day? I couldn’t stop thinking about this situation and I still haven’t stopped. I wonder if he is alive now or if those were his final moments. I wonder at how he kept his happiness when things seemed so grim other than that he had hope for the things to come. I wonder a lot of things and then it hit me. Maybe that meeting in the elevator was meant more for me than for him. Perhaps, God arranged that meeting to help me grow. 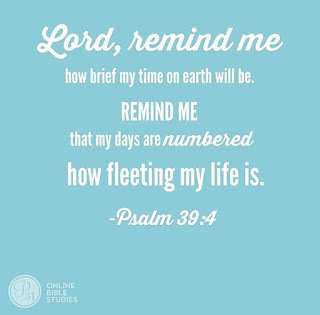 He must have meant it for me to realize that I cannot always rush through life. I need to stop and listen to those around me. I need to make it a point to greet others and reach out more to hear their stories.I need to exist in the present time. Today may be it for us, you and me. We might be in our final days here on earth. We might never live to see tomorrow. We could walk outside and a car could run us over. Or we could pass away in our sleep from a heart attack. We don’t know. 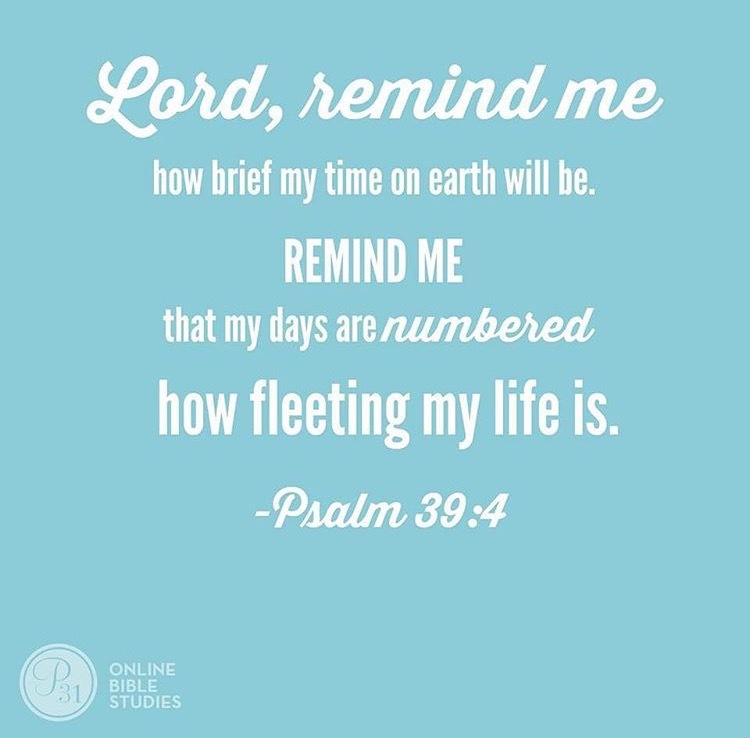 God has our days numbered in his book. He knows just how long we have here. Shouldn’t we be spending it as if it’s our last? Or are we so much in a hurry waiting for tomorrow that we are wishing the day away? Maybe we are waiting for that paycheck to arrive or that vacation to start. Maybe we are waiting for that pregnancy to end or the baby years to get easier. Maybe we are waiting for that day we can take a nap. Whatever it is, stop! We don’t need to wait but to let time exist. Let’s let it exist so we can enjoy the present moments making them our best moments. The next time we get on an elevator, greet someone passing through the entrance of a store, or exchange eye contact with the person passing us on our walk, let’s take the time to ask them how they are really doing in their life. 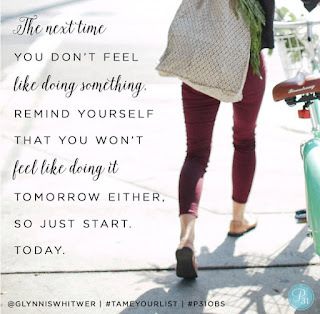 Let’s stop and listen, even if that means we get back to what we were doing a little late. Let’s pray for that person and with them. And even more, let’s stop wishing time to pass. It will not be better tomorrow. Whatever we are going through that is difficult or tiring is where we need to be at the moment. Even when our coffee cups run dry and our energy levels are depleted, it’s still good. Even when our heart aches for something or someone, it’s still good. Even when our money is tight, it’s still good. Even when we’ve been hurt by others with their words or we are experiencing real pain, it’s still good. There is no better time than now. 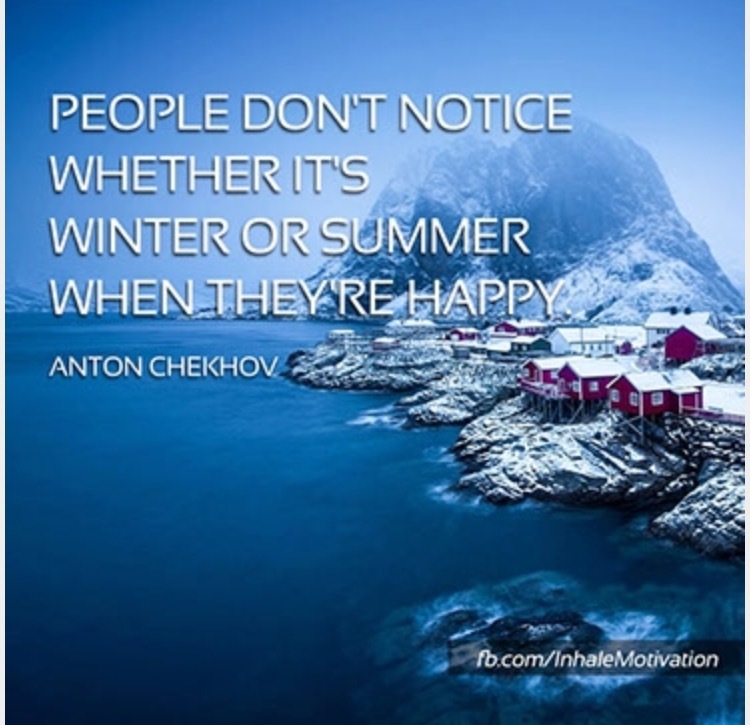 Embrace it for what it is and make the most of our current surroundings. It’ll be okay. Just breathe and exist.